Maybelline is undoubtedly the most affordable and innovative drugstore cosmetic brand across the globe! And, they keep launching new and unique products to be the best. This time and few weeks back, they did the same and I can safely say they won a lot of hearts when they launched the “Go Graffiti” nail polishes, in India, along with the rebel bouquet collection. 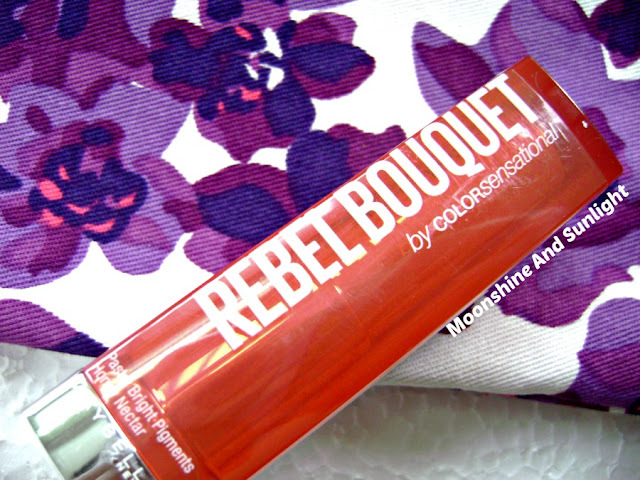 Today, I have two shades out of the six shades launched in the rebel bouquet collection, but first, a little about the lipsticks. 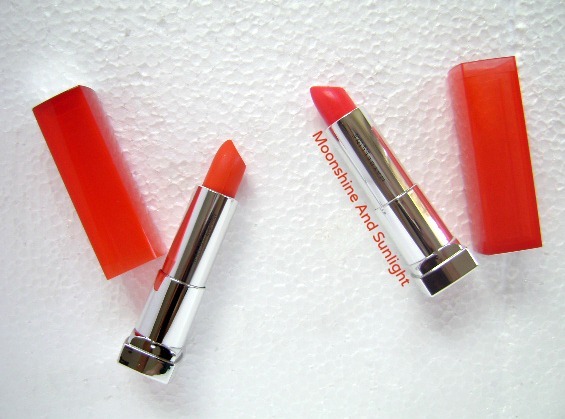 These lipsticks consist of pure pastel bright pigments and the colour bloom technology with the honey nectar formula makes the texture feel creamier and softer on lips. This is what MNY claims. REB02 – A bright, pastel pink with no shimmers. This is great for that pretty pop of color. This one has a hint of darker raspberry pink. No shimmers in this as well. But, this one need to be worn with a little bit of makeup or else it looks very bright! It has a pretty packaging before you remove the outer plastic covering. It has REBEL written in floral fonts but that sadly goes out with the ingredient list and the price. 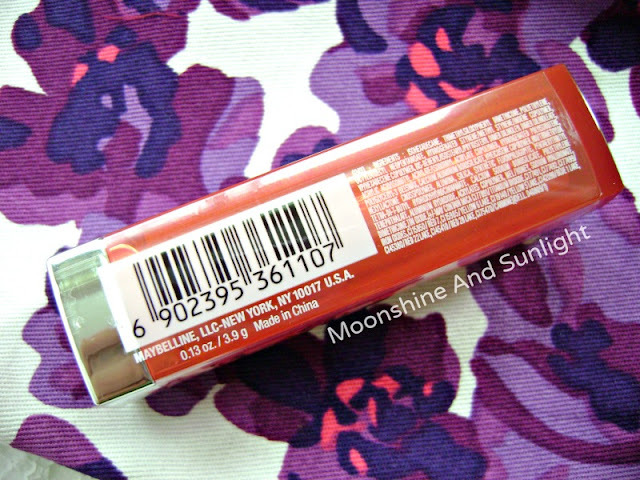 Other than that, it has a normal colorsensational lipstick packaging. I like this packaging, but I would have loved if they changed it a little bit or just had the REBEL written on the cap. 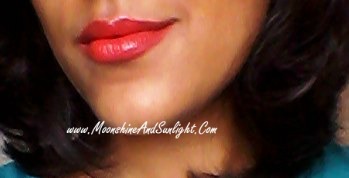 The lipsticks are very creamy in texture indeed and simply glide on lips without any tugging or pulling. 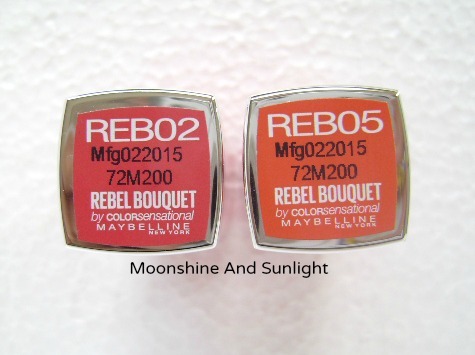 The pigmentation and coverage is medium for REB05 and medium to full for REB02. Well, if I have to sum it up I will simply say that, I Love these! Creamy texture that glides stays for good 3.5 – 4 hours with a glossy finish. 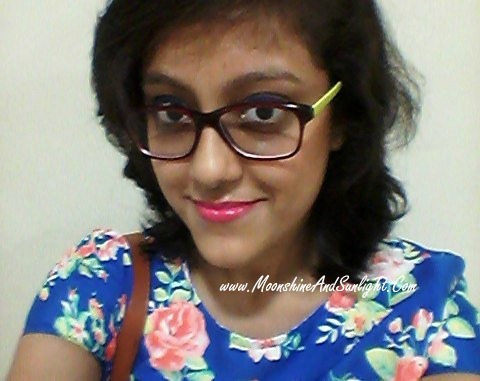 (I love glossy lipsticks for summer and it such a break from the semi matte and matte lipsticks!). 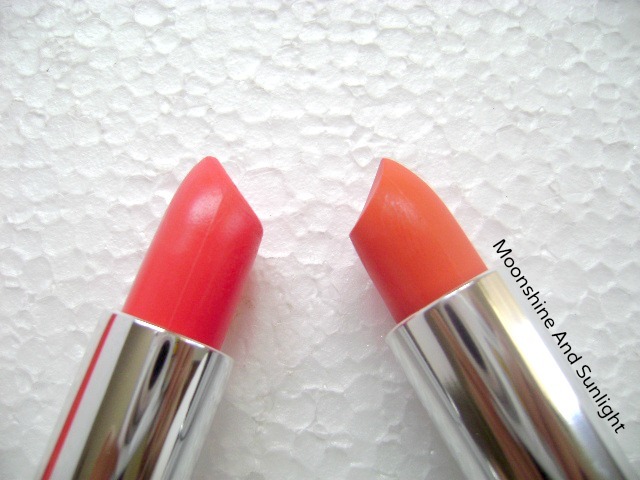 It feels really comfortable on lips and leaves behind a light tint, both REB02 & REB05. The only complain I have is with the name of the shades! It is high time they start naming the shades! Some might say that the price is a bit high for a drugstore brand, But, I think it is okay given the other factors such as texture! I love, love the texture. I am giving these lipsticks an 8.5, because I think you should have one of the 6 shades in your kitty! So, have you tried these lipsticks?? Any other shade from the range you like ? ?